Walter L. Desrosier is Vice President of Engineering & Maintenance for GAMA. Having joined GAMA in 1997, he is responsible for representing the interests of aviation manufacturers and maintenance organizations on technical policy issues, including certification processes and regulatory requirements governing the design, production, continued operational safety, and maintenance of general aviation aircraft. He works directly with GAMA’s Technical Policy Committee, which serves as the industry’s authoritative organization for developing and implementing technical policy issues in coordination with the U.S. Federal Aviation Administration (FAA), European Aviation Safety Agency (EASA), and the International Civil Aviation Organization. In addition, he represents these issues before the U.S. Congress and European Commission. With over 20 years’ experience in aviation safety policy and regulation, Walter has been instrumental in the development and implementation of several industry and government activities to expand the effectiveness and efficiency of aircraft type certification procedures, delegation programs, risk-based safety oversight, and international bilateral safety cooperation among state-of-design authorities. He has served on numerous industry task groups and government advisory committees, and chaired initiatives related to certification procedures, safety programs, and general aviation operations and maintenance. He is an active member of the FAA Aviation Rulemaking Advisory Committee (ARAC), and EASA Safety Standards Consultative Committee (SSCC) and Stakeholder Advisory Body (SAB). 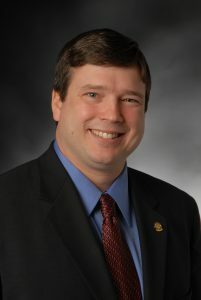 In addition, he has served as industry co-chair of the FAA Part 21/Safety Management Systems Aviation Rulemaking Committee, U.S. Congressionally directed Aircraft Certification Process Review & Reform and Consistency of Regulatory Interpretation committees, and numerous FAA and EASA groups that address airworthiness and safety issues. Walter joined GAMA in 1997 as Manager of Maintenance and assumed roles of increasing responsibilities before being named Vice President, Engineering & Maintenance in 2004. Prior to joining GAMA, he was a Presidential Fellow for Embry-Riddle Aeronautical University, an A&P mechanic at an FAA-certificated repair station, and a loadmaster and operations supervisor for cargo airlines. Walter earned a Master of Business Administration in Aviation (MBA/A) degree with distinction and a Bachelor of Science in Aviation Maintenance Management with the President’s Award from Embry-Riddle Aeronautical University, and also holds an FAA airframe and powerplant mechanic certificate. Walter and his wife Stacy live in Fairfax, Virginia, and have two children. Reach Walter at + 1 202-393-1500.